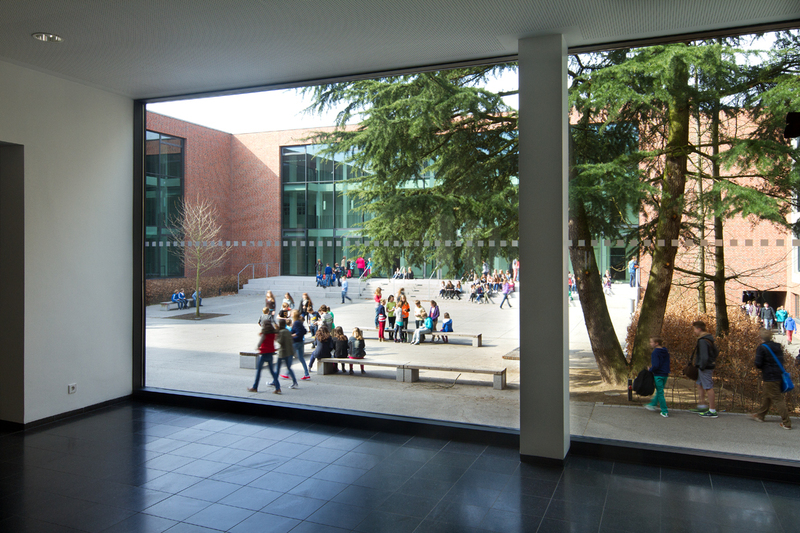 The 1000-pupil high school St.-Josef-Gymnasium is located in a quiet residential area on Hemdener Weg in Bocholt (Westphalia) within walking distance of the town’s main public transport hub. 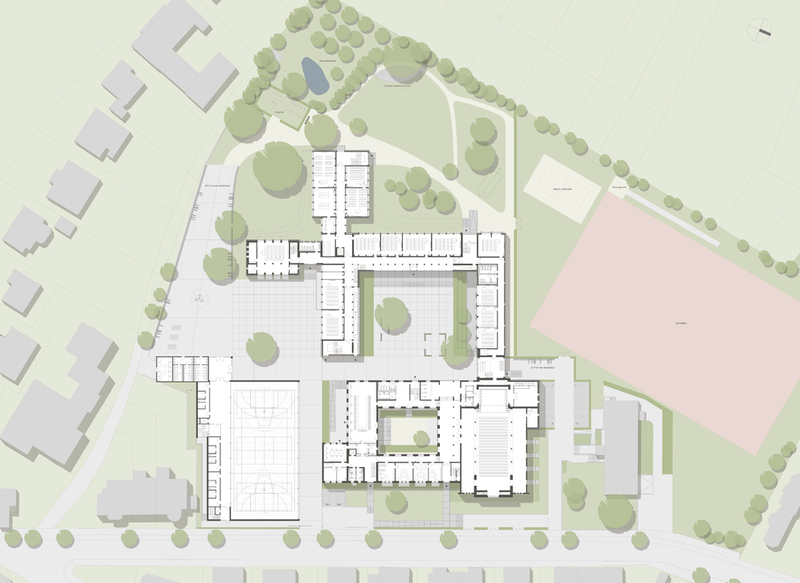 After the closure of the Capuchin monastery in the year 2000 and then the parish church of St. Laurentius in 2001, plans were drawn up to incorporate the two buildings in the high school as part of an energy-focused refurbishment project in seven construction phases. 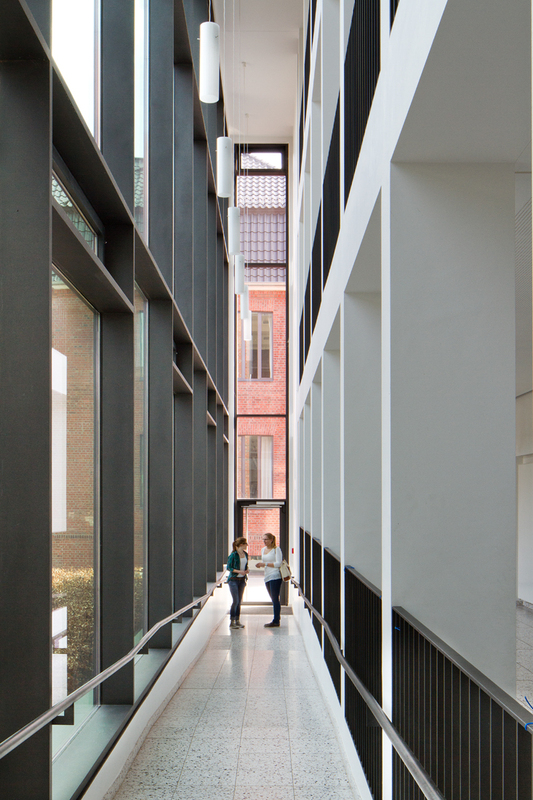 The church and Capuchin high school formed an architectural structure that has evolved over a period of 90 years. 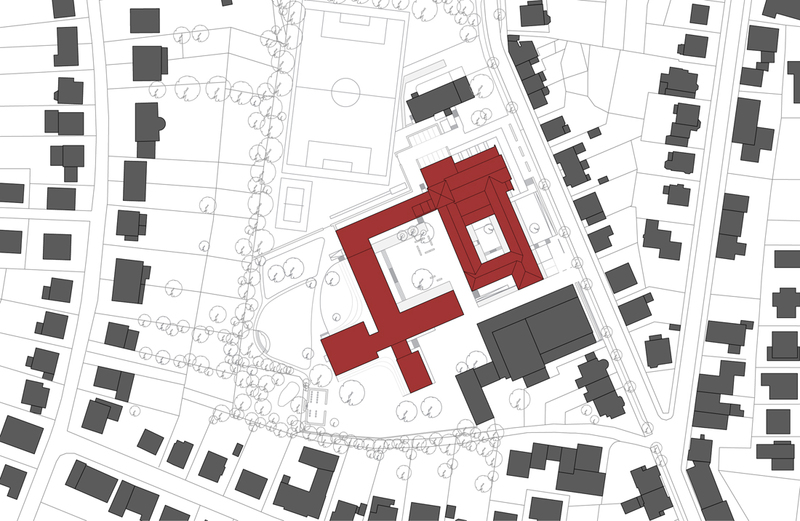 The only formal connection between the ensemble’s heterogeneous units that were built in different eras for different functions, such as parish church, monastery, boarding school and high school, was the material used, namely Westphalian brick. The key idea behind the design concept was to create a central gathering point that connects all parts of the building. The inner courtyard, for example, used previously only as a place of rest or retreat by the priest, was planned as the new centre of school life. 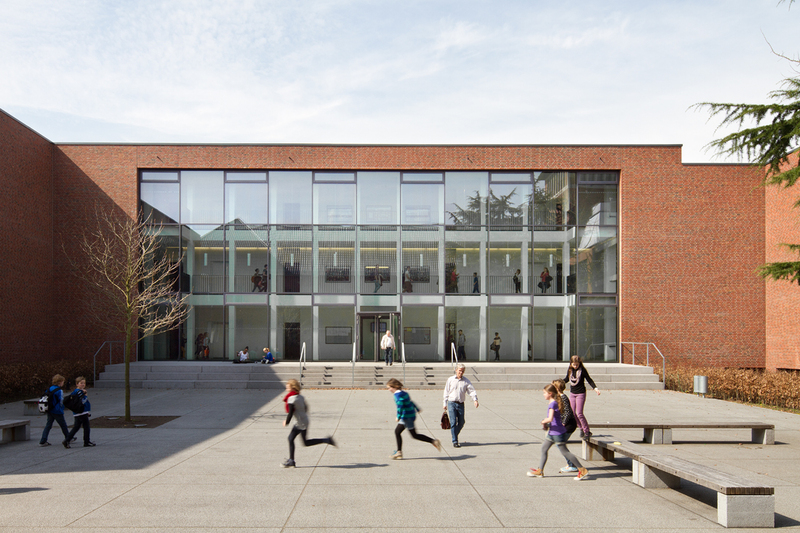 The hitherto closed facades of the school were also opened up to this new central point. 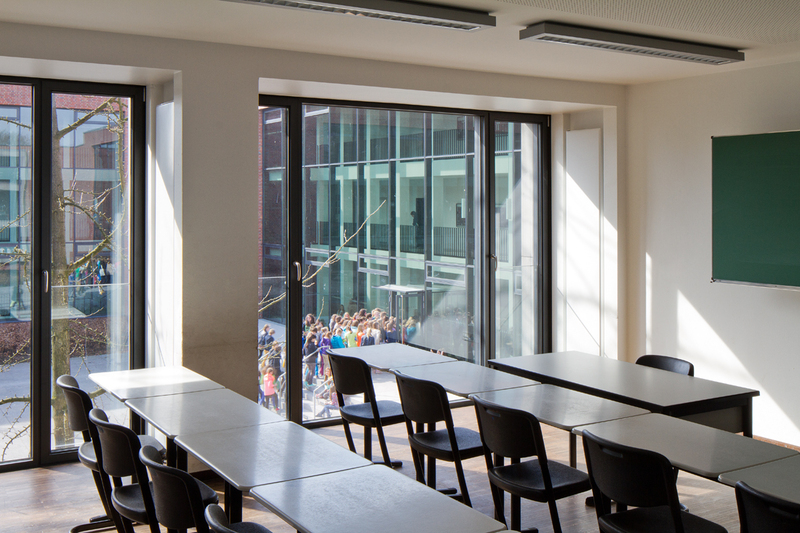 The entire spatial concept fulfils modern educational and administrative requirements, and beyond this transfers the concept of pedagogical transparency to the building and life within it. In addition to the new school playground, another communal area was created where the entire school community can be addressed: the school auditorium.